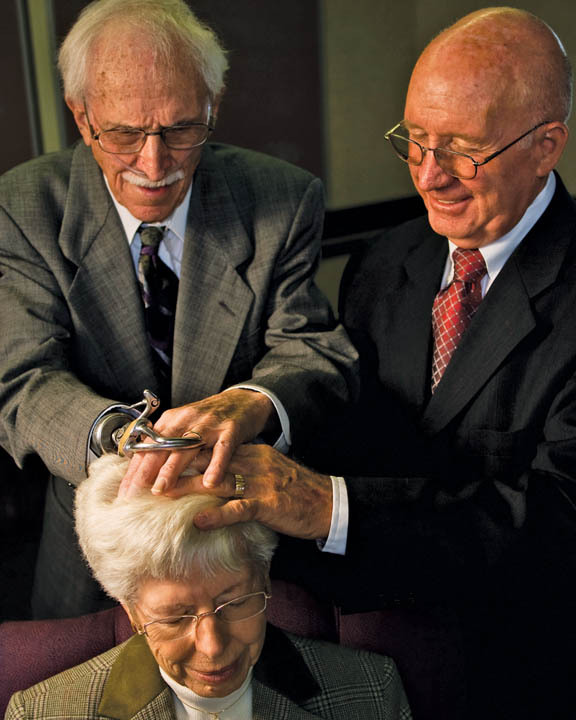 The history of The Church of Jesus Christ of Latter-day Saints, also known as the Mormon Church, is one of persecution and suffering as well as of endurance and faith. Members of the Church, often referred to as Mormons, believe Joseph Smith, the first latter-day prophet, received personal revelation from God and His son, Jesus Christ, to restore the fullness of the gospel, which had been lost shortly after the crucifixion of Jesus Christ. Joseph Smith, a fourteen-year-old farm boy, received a personal vision of God and Jesus Christ in the year 1820. In this First Vision, God revealed to Joseph that no church on the earth had a fullness of truth. Over the next ten years, Joseph learned the fullness of the gospel through continuing revelation from Heavenly Father. He was led to find and was aided in translating an ancient record of some inhabitants of the Americas. This record was published in May 1830 as The Book of Mormon: Another Testament of Jesus Christ, which Mormons continue to use in tandem with the Bible. After the successful publication of the Book of Mormon, The Church of Jesus Christ of Latter-day Saints was organized on April 6, 1830 with just six original members. Missionary work began almost immediately after the organization of the Church, and the gospel spread quickly. Missionaries travelled all over the United States and soon went abroad. Converts began gathering to the United States. 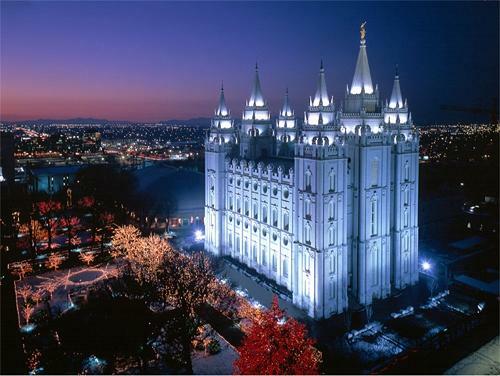 Now The Church of Jesus Christ of Latter-day Saints is a major world religion, with 13.5 million members worldwide. Missionary efforts are very important and continue on a large scale today, in nearly every country of the world. Persecution directed towards the LDS Church began before the Church was even organized and continued in different forms. As the Church grew, false rumors spread like wildfire and false accusations flew at Joseph. He and his family were forced to move several times. He and several other Church leaders were tarred and feathered, as well as beaten, on multiple occasions. Joseph was also arrested multiple times, always on false charges. Members of the Church moved from New York to Ohio and Missouri, building two Church centers. Persecution raged, and in 1833, Joseph was commanded to form Zion’s Camp, a militia, to go to Missouri and aid the afflicted Mormons who had been forced off their land and out of their homes. Zion’s Camp consisted of about 200 men who marched one thousand miles from Ohio to Missouri. The group suffered from fatigue, poor food, and sickness. Upon their arrival they were told they would not fight; they were instructed to aid the suffering Saints and were then to return to Ohio. Though the men did not fight, they were able to spend significant time in the company of the Prophet Joseph, and many Church leaders were later chosen from this group of faithful men who had sacrificed so much. In October 1838, the Saints continued to seek aid from the government. However, Captain Samuel Bogart’s men, from Jackson County, Missouri—who were supposed to be conducting patrols to ensure order—attacked the homes of Saints twice and ordered them to leave the state. They also took three Mormon men as prisoners. Judge Elias Higbee ordered Lieutenant Colonel Hinkle to send out a company to disperse the mob and take the three prisoners back. The militia assembled and marched to Crooked River, where Bogart’s concealed men opened fire on them. Though the men simply defended themselves and took their prisoners home, exaggerated and false reports reached Governor Lilburn W. Boggs, prompting him to give an extermination order expelling the Mormons from the state. This order authorized residents to exterminate or drive all Mormons from the state. As riots ensued, numerous mobs took the extermination order as license to kill. The few men in the army who showed sympathy for the Mormons and anger at the criminal way the situation was being handled were relieved of their duties. Mobs began gathering around Far West, planning to drive the Mormons out. On October 30, 1838, Mormons living in a small settlement twelve miles east of Far West, called Haun’s Mill, were massacred. Though the settlement of twenty to thirty families had been counseled by the Prophet to gather to Far West, they refused to leave their land and property. Attacked without provocation, seventeen people were killed and thirteen wounded. The mob fired equally on men, women, and children. The siege continued on Far West until the Mormons were outnumbered five to one. Colonel Hinkle, the leading officer for the Saints, agreed to surrender certain leaders for trial, yield Mormon property to pay for damages, and force the Saints to leave the state. Several leaders were arrested and taken from their families, with the strong belief on all sides that they would not return. The Saints were forced to leave in the midst of a bitter winter, causing further hardship. Though some kind people harbored the Mormons for some months in Quincy, Illinois, they were eventually overwhelmed and asked the Saints to leave. The Saints gathered once again, this time building their own city of Nauvoo in Illinois in April 1839. In order to build Nauvoo, the Saints had to reclaim swampland. Many suffered from malaria and other diseases, even as newly converted immigrants poured into the city looking for sustenance and work. The next five years were a time of relative peace for the Saints in Nauvoo, though persecution continued. The Saints built a prosperous city and eventually completed the Nauvoo Temple. However, peace did not last. In early June 1844, Joseph surrendered himself to the governor of Illinois to try and bring peace to a violent situation. On June 27, 1844, Joseph Smith, his brother Hyrum Smith, John Taylor, and Willard Richards were still being held in Carthage Jail in Illinois, where Joseph had been promised he would be protected and given a fair trial for more of the false accusations which had been brought against him. That afternoon a mob came to the jail, stormed it, and shot and killed both Joseph and Hyrum. John Taylor was shot four times, but survived. Willard Richards remained unharmed. 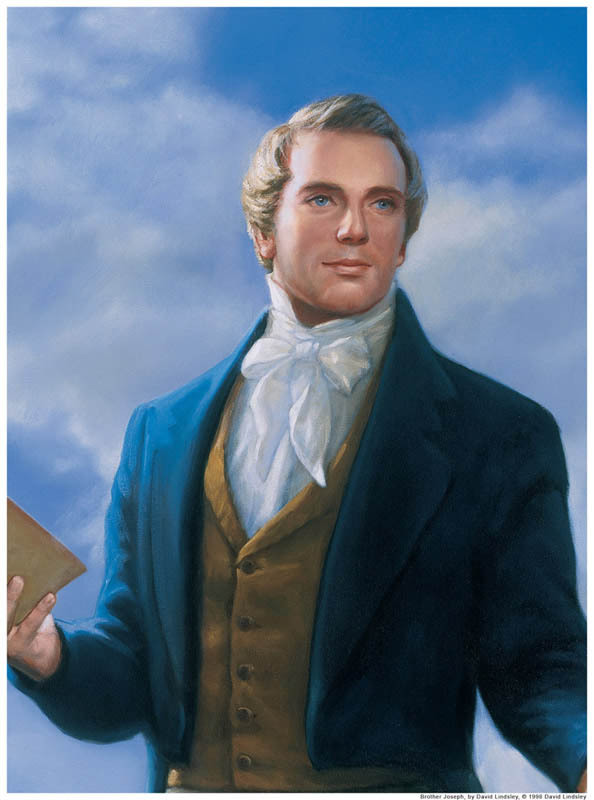 Joseph and Hyrum’s younger brother, Samuel, died shortly after the martyrdom due to the physical exertion of riding between his home and the jail, trying to help bring peace to the situation. Thus Lucy Mack Smith, Joseph’s mother, lost three of her sons in a very short period of time. Enemies of the Church believed that with Joseph Smith dead the Church would fall apart. However, the Quorum of the Twelve Apostles had been formed in 1835, and they continued to lead the Church, carrying out all the duties Joseph had revealed to them and set in motion before his martyrdom. This included the mass migration of the Saints to the Rocky Mountains, where Joseph had prophesied they would eventually settle. The first group of Saints left Nauvoo in February 1846, but did not arrive in the Salt Lake Valley until July 24, 1847, stopping for the winter at Winter Quarters, Nebraska. While the Saints were in Nebraska, the military requested a group of 500 volunteers to travel west and fight in the Mexican War. Despite the horrible treatment the Mormons had received at the hands of both local and federal governments, they answered the call and formed the Mormon Battalion, which group marched from Nebraska to California. This group never was required to fight, though their sacrifice was great and their faith was strengthened. The families these men left behind at Winter Quarters suffered from exposure and malnutrition. Disease was rampant, and more than seven hundred people died by the end of the winter. 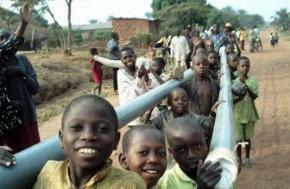 Again, they received no help or redress from the local or federal authorities. The Mormons were forced to leave Nauvoo in the middle of the winter, and many of the Saints received little or nothing for their land and homes which were left behind. They left with only the faith that they were following God’s commandments and that they would finally find a place free from persecution. In December 1847, the Quorum of the Twelve Apostles unanimously agreed to reorganize the First Presidency. Brigham Young was sustained, unanimously, as the second prophet, seer, and revelator of The Church of Jesus Christ of Latter-day Saints. Brigham Young, through continuing revelation, directed the development of the Salt Lake Valley and the building up of the kingdom of God on earth. During this time the practice of polygamy, the marriage of more than one woman to the same man, was practiced. In 1831 Joseph Smith had inquired of the practice of plural marriage in the Old Testament, and Heavenly Father instructed Joseph to reinstitute the practice of polygamy as a divine principle. The number of people who lived this principle during the next sixty years was small, and in 1890 President Wilford Woodruff, the fourth president of the Church, was instructed by the Lord to withdraw this command. Those marriages which had already been performed continued in this manner. In 1904, President Joseph F. Smith declared excommunication to be the consequence for those who continued to perform plural marriages. Polygamy has not been practiced by any members of The Church of Jesus Christ of Latter-day Saints since that time. The Church of Jesus Christ of Latter-day Saints continues to grow, and its members wish to live good lives and share their beliefs with those around them. For a more detailed history of the Church, please visit historyofmormonism.com. One of the most controversial and highly debated events in the history of The Church of Jesus Christ of Latter-day Saints is the Mountain Meadows Massacre. Let's talk about it. 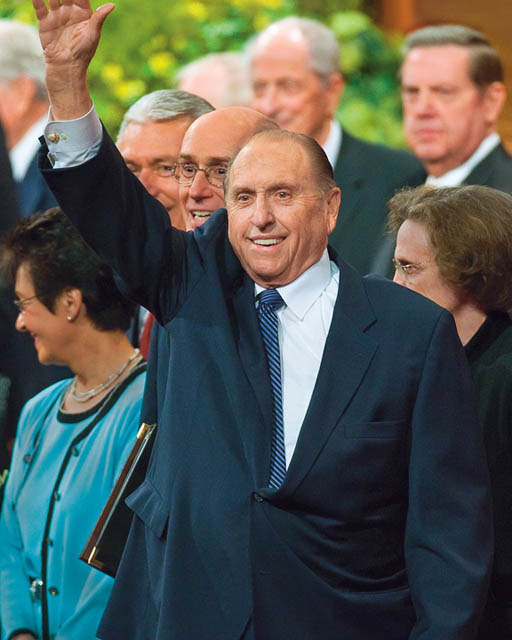 Learn a little about the Latter-day prophets, beginning with Joseph Smith all the way to Thomas S. Monson.